· 5-time and 2017 Champion, Doug Coby. · 5-time 2017 winners Timmy Solomito and Ryan Preece. · 7 All-New paint schemes and drivers not previously released. · Authentic recreations of the real life 2017 NASCAR Whelen Modified paint schemes down to every meticulous detail. · Updated and accurate real-life 2017 year-end performance ratings from the NRatings program using the MasGrafx GNS Full Season V3.1 formulas. · Race Rosters for all 16 WMT Races run in 2017 and the 2 Non-Point races that include the actual driver, schemes and cars they drove so that you can recreate the 2017 NWMT season. 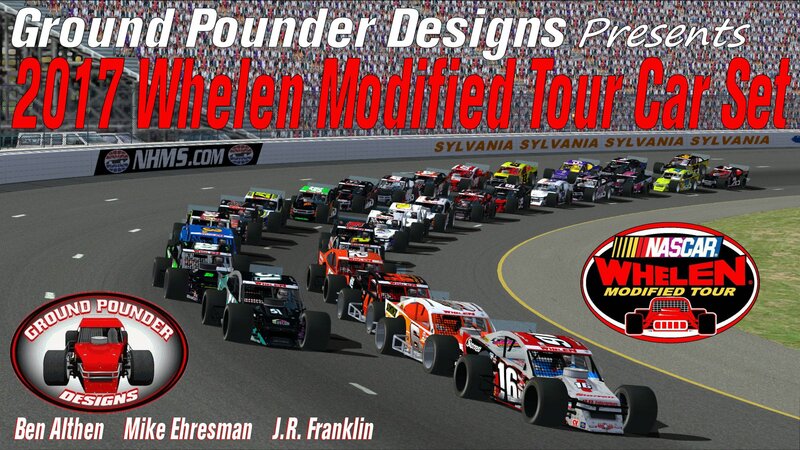 Enjoy racing the best of the best from the 2017 NASCAR Whelen Modified Tour from the guys at your "One Stop Shop" for Modifieds for NR2003! frow78, horseman89 and nj9703 like this.